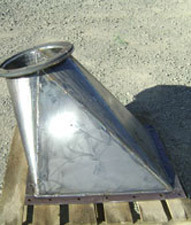 Regina Metal Industries has become a very diverse company in all areas of the metal fabrication industry. As an all-around fabrication company, we understand the importance of the quality, craftsmanship, safety and professionalism of each project. Regina Metal Industries has built a reputation on meeting the customer’s needs with honesty, and integrity. 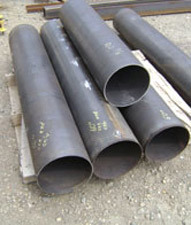 Our welders fabricate parts or structures, built from plate, pipe, angles, flats, round or rectangular tubing, I-beams, and round or square shafts. We are capable of many types of welding techniques, including MIG, TIG, Stick, Air Arc, Torch Cutting, and Brazing. We work with many materials, including mild steel, alloy steel, brass, bronze, copper, stainless steel, aluminum and cast iron. Regina Metal Industries is CWB certified. Regina Metal Industries also provides in-house rolling. Cones, U’s, pipe straps, pipe clamps, and rings can all be rolled on our plate rollers. Please inquire for capacities. Our sawing services supply a wide range of cut to length material with up to 14” round. Our two industrial metal cutting band saws feature a swing head design and provide exceptional miter cutting capability for many applications. Our 6’ x 12’ CNC plasma table can cut various shapes and sizes. 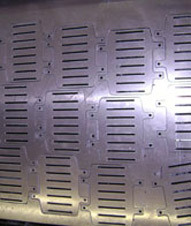 We can cut steel, stainless, aluminum and brass. Regina Metal Industries also provides braking and shearing fabrication services, with a 1/2” by 10’ mild steel capacity, and 250 ton capacity for braking. 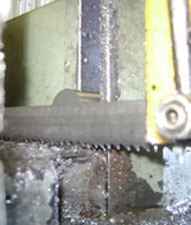 This process can bend steel plates or cut steel plates within the above size range. Our brakes are fully programmable to create precise results quickly. Our fabrication capabilities also include stainless fabrication of hand rails, countertops, back splashes, hoods, and vents. 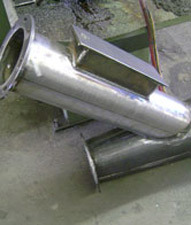 We can custom fabricate components and assemblies to customer specifications.